Another film may have won the night, but this film won the fight. 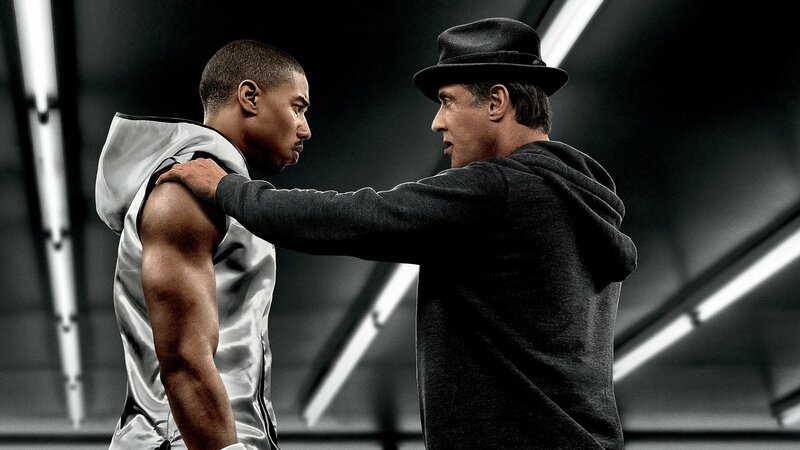 Ryan Coogler’s Creed delivers a powerful knockout blow in the story structure department. Want to know why it scores 94% on Rotten Tomatoes? Every Throughline is accounted for and the thematic elements in each all add up to a coherent and consistent message: never back down. A lesser film would simply hit viewers over the head with that controlling idea, Creed does it with skill and panache. That single tracking shot during “Hollywood Donnie’s” first fight? Simply icing on the cake of a terrific story. Adonis “Donnie” Johnson Creed (Michael B. Jordan) is Apollo Creed’s son, a label he wants everyone to stop using (Main Character Throughline of Universe, Main Character Growth of Stop). Donnie is unproven and anytime he gets an opportunity to show people how wrong they are about him, he takes it—and shows them the truth (Main Character Problem of Unproven, Main Character Symptom of Non-accurate, and Main Character Response of Accurate). Donnie doesn’t hesitate to step into the ring, from beginning to end, and comes to terms with being his father’s son (Main Character Approach of Do-er, Main Character Resolve of Steadfast, and Story Judgment of Good). Challenging Donnie’s emotional growth every step of the way, Rocky Balboa (Sylvester Stallone) enters the film with his mind set: he’s not getting back in the ring (Influence Character Throughline of Mind). Determined to avoid the same fate as his beloved deceased wife Adrian, Rocky refuses to seek treatment for cancer, preferring to live out his days numb and unresponsive to life’s blows (Influence Character Problem of Determination, Influence Character Concern of Preconscious). Remembering the endless bouts his wife experienced with chemo, Rocky prefers to keep it quiet and lets the disease consume him (Influence Character Symptom of Unending and Influence Character Response of Ending). Unfortunately for Rock he develops a relationship with Donnie, a battle of wits and a battle of how one sees the world (Relationship Story Throughline of Psychology). They’re both fighters and come together almost as a way to make up for Apollo Creed’s tragic end (Relationship Story Problem of Cause). Seeing the results of their hard work brings them closer and gives them both a reason to climb those steps at the end together (Relationship Story Solution of Effect). More importantly though—and essential for the story’s meaning—is Rock’s eventual paradigm shift. He changes his Resolve the moment he declares that he looks forward to seeking treatment for his disease (Influence Character Resolve Changed, Influence Character Solution of Expectation). It may appear at first glance that both Rock and Donnie change their resolve. After all, Donnie comes to terms with his father’s legacy. But Donnie’s revelation that he wants to know that he was not a mistake is something he will never know. It’s almost as if he is accepting that part of himself—that Main Character Problem of Unproven—and owning it as a source of pride and a source of drive. Narratively speaking, he grows into his Resolve. Creed is a welcome addition to the Rocky mythos. Expertly told, brilliantly shot, and honestly acted, this film sits up there with the best of the best for 2015. Spotlight may have won the night, but there were plenty of other contenders that beat all expectations.